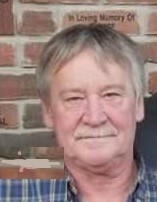 Dennis Hohensee, 65, of Markle, IN, passed away on Wednesday, October 3, 2018, at Millers Merry Manor, Fort Wayne, IN. Mr. Hohensee was born August 23, 1953, in Wymore, NE, to Lou and Doris (Jones) Hohensee. His parents preceded him in death. Dennis worked at Wayne Metals, Markle Indiana. He is survived by three step-sons, Thomas (Renee) Babb, Huntington, IN, Dustin (Karry) Babb, Huntington, IN, and Kenny Babb, Huntington, IN; and a daughter, Tracey Hohensee, and 5 grandchildren. He is also survived by three brothers, Ronald Hohensee, Wymore, NE, Larry Hohensee, Bluesprings, NE, and Mark Hohensee, Ashland, NE, one half-brother, Roger Hohensee, Jonesville, WI; and two sisters, Gail Keir, Wymore, NE, Barb Wherry, Wymore, NE; and one half-sister, Joyce Farnsworth, Jonesville, WI. Along with his parents he was preceded in death by one son, Chris Hohensee. Calling hours will be held on Monday, October 8, 2018, from 4:00 p.m. to 6:00 p.m. at McElhaney-Hart Funeral Home, 715 N. Jefferson St., Huntington, IN. Burial will be at a later date at Wymore Cemetery, Wymore, NE. In lieu of flowers memorials may be made to the Cancer Services of Huntington County in care of McElhaney-Hart Funeral Home, 715 N. Jefferson Street, Huntington, IN 46750.